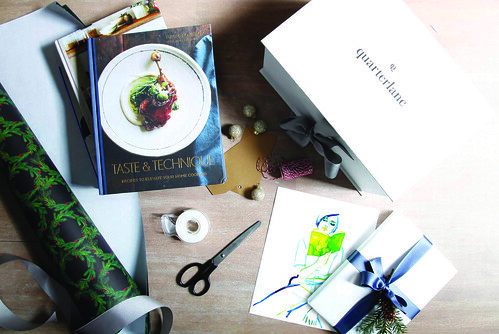 I’m beyond excited about co-creative directing at quarterlane, the most amazing new book box subscription company. Elizabeth Lane the founder is a professional book buyer who lovingly curates the boxes each season with the juiciest new fiction, the top art and design books and for winter we even have a Gentleman’s box, an Epicurean and a Wellness box amongst others. She thinks of everything. The boxes are gorgeously modeled after Lanvin shoe boxes and each book is lovingly wrapped and paired with curated gifts like this Sloane 2017 planner. This is the lux gift for the book lover in your life or yourself. 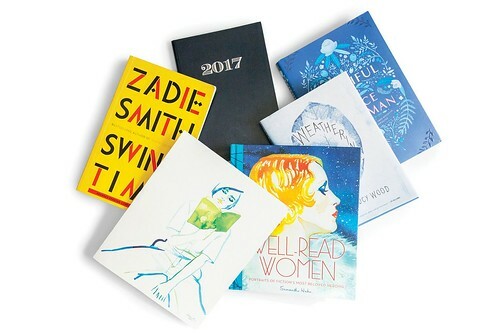 With your busy schedule and lack of time why not subscribe and have a literary box that speaks to your soul land on your doorstep each season? Or, simply pick a box that speaks to you. I’m beyond honored and thrilled to be part of quarterlane. This winter season, my reading woman original painting has been gorgeously printed and included in each and every box. My first book Well-Read Women is part of the Winter Fiction, Winter Aesthete and all other boxes too. YAY! We’ve been working tirelessly on creating an editorial sister site, The Edit for quarterlane with literary cocktail recipes like The Fizzy Fitzgerald, author interviews and lifestyle features. Please follow along as we grow a community of book lovers and scintillating content for the bibliophile! Hot tip! Use code quarterlanejoy20 for a 20% off site wide this Black Friday (Get a jump start on holiday shopping). Cyber Monday you can buy one box, get your next box half off. Amazing right? !